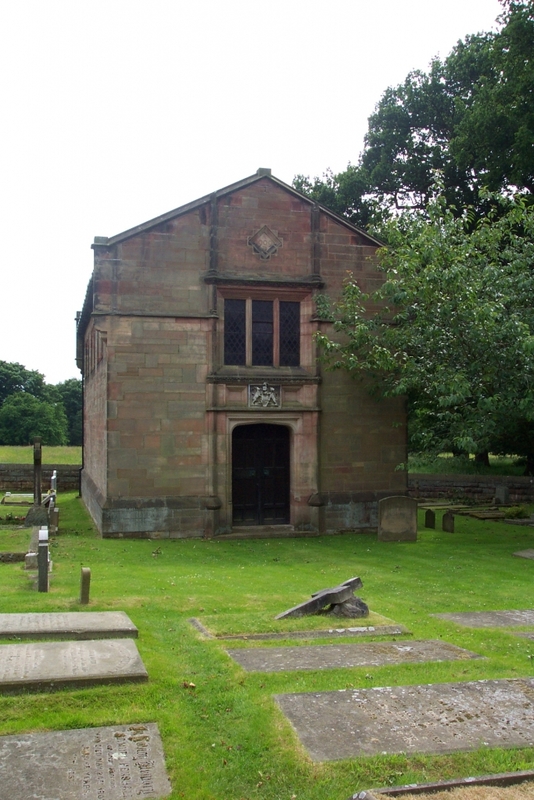 The Mausoleum was built in 1909 for the 4th Lord Stanley of Alderley. The architect was Paul Phipps of London (Father of Joyce Grenfell) and it is now a Grade 11 listed building. 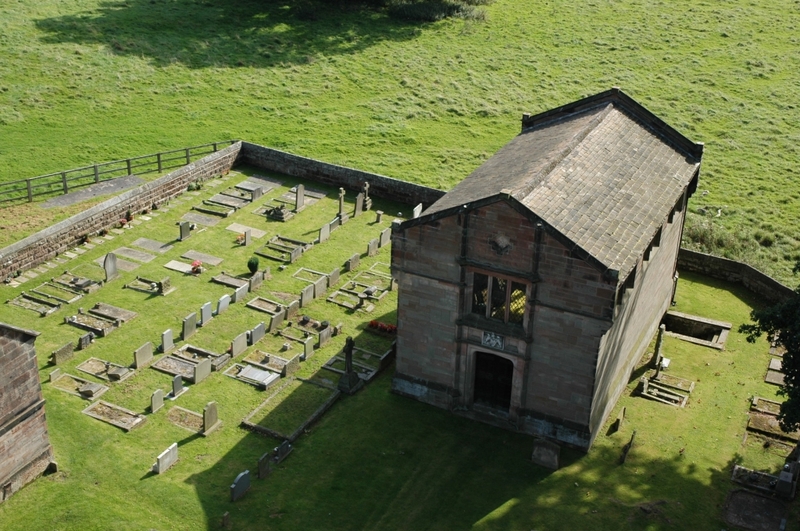 It is built of sandstone with a Kerridge stone-slate roof and above the door is the Stanley crest. Below the Mausoleum runs an empty crypt. Inside is a white marble sarcophagus which contains the ashes of the 4th Lord and those of his wife, Mary Katharine. It is decorated with a band of cherubs and garlands. There are two brass plaques on the wall – one for the 4th Lord and his wife and one for their second son who was killed in 1908.